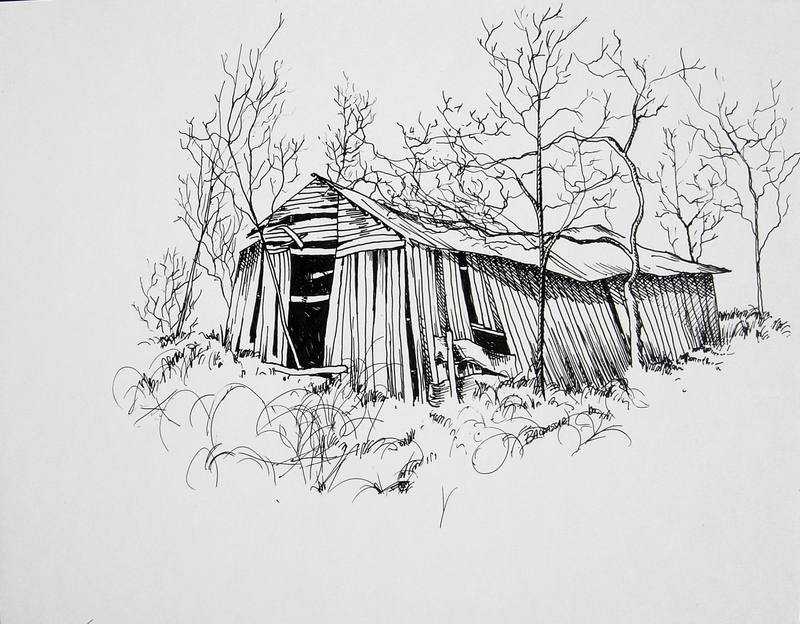 This Pen and Ink was done right before this building was leveled by the owner (I got the planks off it to use for my handmade barnwood frames). Later, Gary Wiebe used this image, along with a couple others, in one of his humorous books about the characters in Newton County. 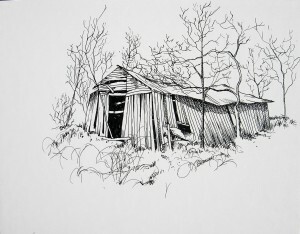 The Original Framed 11×14 Pen and Ink on Paper is in a private collection. A limited number of 8×10 prints are available matted to 11×14 with, or without, a frame.